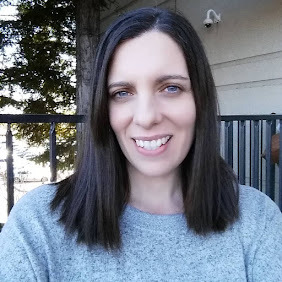 Whenever we host a party, or as I like call it now that I am in my 30's a gathering, I like to do a little something different. 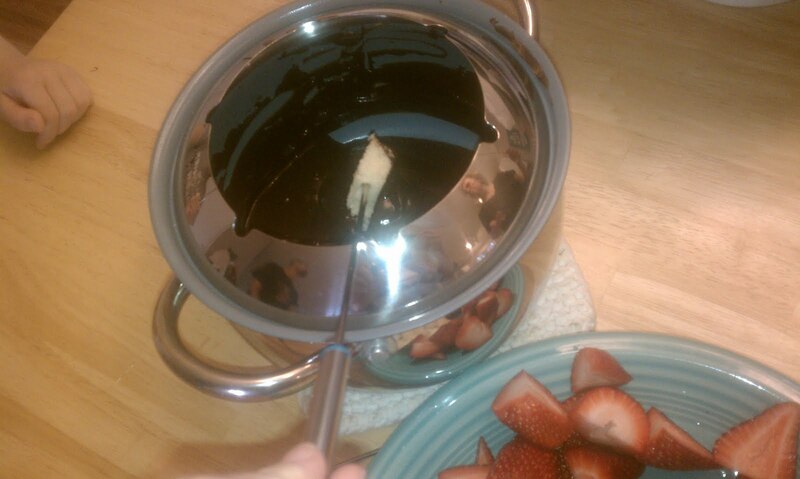 What better way to eat and talk than over Fondue, your guests will love it. GREENPAN makes a Fondue Pot among tons of other cooking wear. The Fondue GREENPAN with Thermolon Technology is Stainless Steel and includes 1 Fondue Pot, 1 Splatter Guard/Fork Rest and 6 Fondue Forks. We had a little mini Fondue Party at our house to see how it works before we launched it at a gathering. 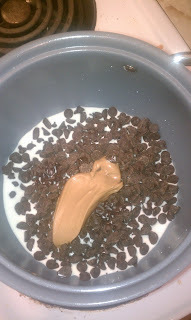 We added all of our ingredients; chocolate chips, peanut butter and heavy creme so it is not too thick. I turned the stove top on low and slowly melted the ingredients. 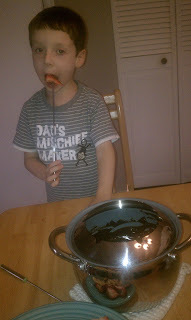 I was amazed at how easily the ingredients came off of the pan and the Non-stick was working really well in my opinion. Not all products that say Non-stick are really non-stick. Once it was all mixed up on the stove top we moved the pot to the table on a hot pad along with out fruits and pound cake. We each picked out a Fondue Fork, they are color coded. How FUN! And we dipped and dipped til we were so full we could not do it anymore. Well all of us except for JJ of coarse. 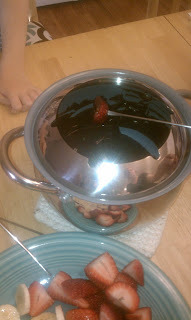 We had a great time and I will for sure be using my new Fondue pot in the near future with some friends. 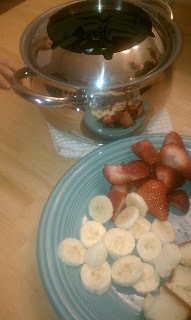 I loved the non-stick pot, and it is not strictly for fondue, you can remove the spatter guard and use it as a "regular" cooking pot for whatever your cooking needs are. 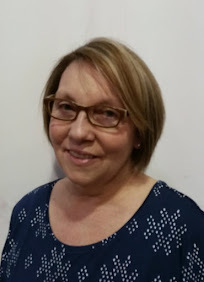 If you are in the market for new pots, pans, cookwear, ovenwear or any cooking accessories check out GREENPAN products, they won't disappoint. A healthy and happy life in an enjoyable environment is our biggest goal in life. GreenPan™ commits to this, and invests 100% in research towards healthy and eco-friendly technologies. * I was not paid or compensated for this post. I was sent a free GreenPan Fondue Pot for my review by the company/PR company. The opinions are 100% mine and may vary from others.